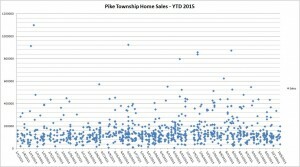 I love scatter charts. 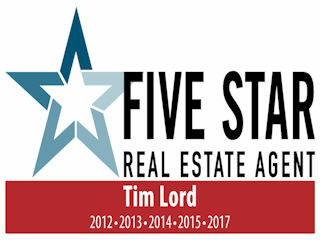 I look for trends, patterns and prices. 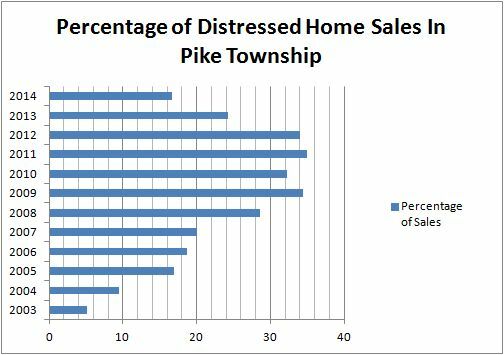 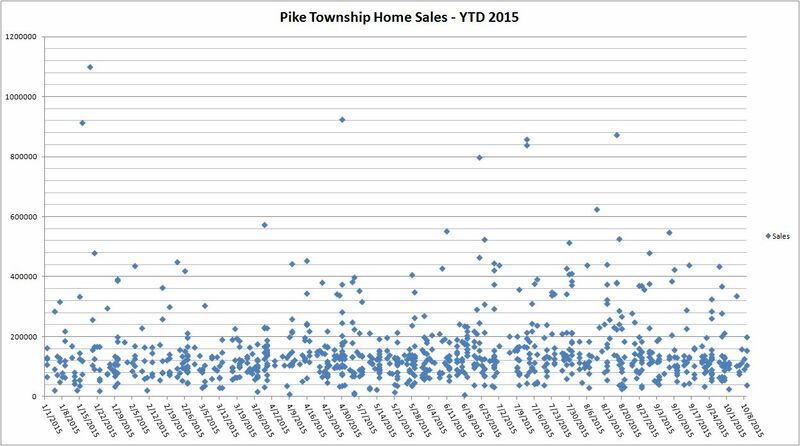 The follow scatter chart show the year to date home sales in Pike Township. 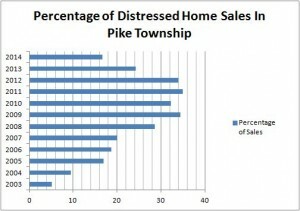 The bottom is a time line and the left hand side shows the price point. 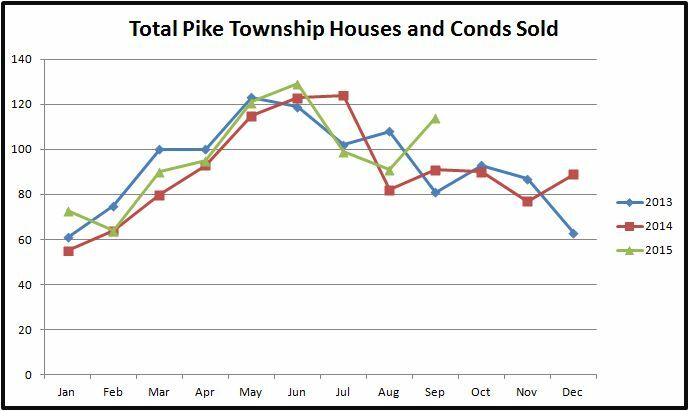 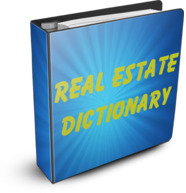 Currently with 895 home sales this year we are close to breaking the record of last years 1083 but probably not 2013’s record of 1112.